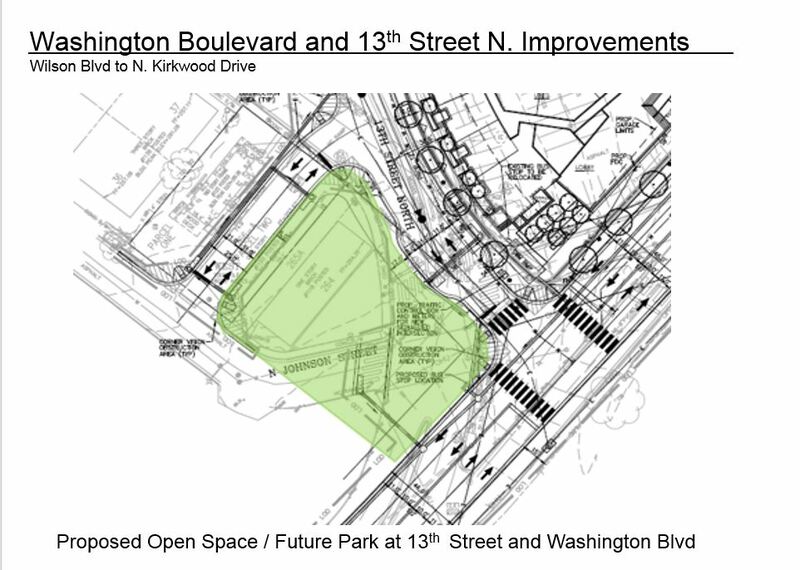 This project is adjacent to the Wilson and Washington Boulevard Intersection Improvements (Clarendon Circle) project. The project has been designed to 90%. 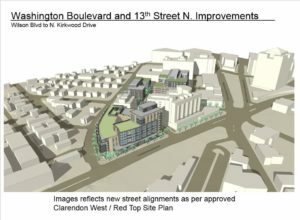 The construction timeline is being revised based on expected impacts from the nearby Clarendon Circle project, which is scheduled to start construction in September 2018. As part of this project, three properties at the corner of 13th Street North and North Johnson Street are being transferred to the County and will be demolished. This work has not yet been scheduled, but a notice will be posted on this webpage and sent to the civic association before the demolition starts. 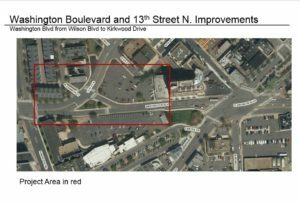 Washington Boulevard and 13th Street North is being redesigned to implement the Clarendon Sector Plan recommendations of providing two lanes of travel in each direction and eliminating the reversible lane signals. 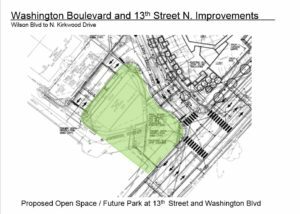 The intersection is being redesigned so the Washington Boulevard lanes align on both sides of 13th Street North. This will provide a more conventional “T” intersection. 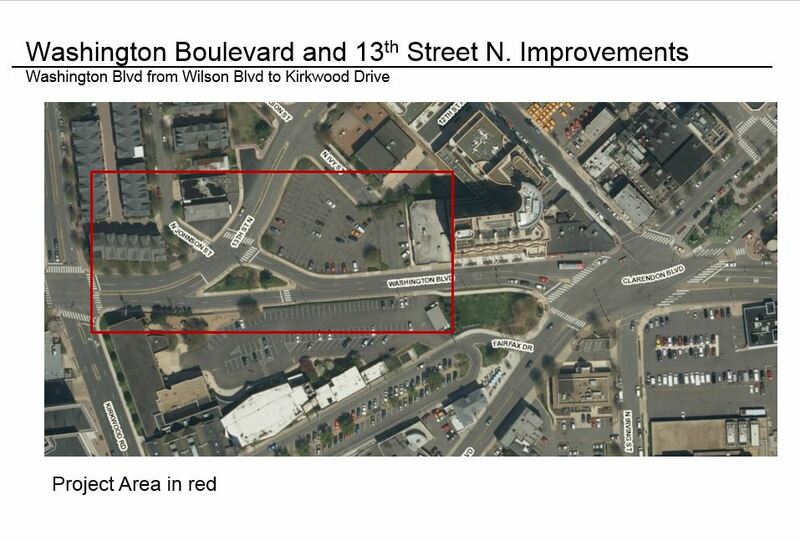 Design analysis for this intersection was performed as part of the development of the Clarendon Sector Plan, and more recently, the Clarendon Multimodal Transportation Study. The analysis strongly suggests that roundabouts, one-way street couplets and other alternative designs would have negative impacts on all modes of transportation, especially for pedestrians, and recommends improving the intersection by normalizing the existing geometry as much as possible and reducing its size. Project updates will continue to be shared with the Clarendon Alliance and surrounding neighborhood community groups. Funding from the County's Transportation Capital Fund is being used to administer, design and construct this project.